Unfortunately, Israel is not spared the liberal hogwash that puts the entire free world in danger. While there are those who call Israel an Apartheid State, we are upholding democratic and equality laws and protect the freedoms of those who actively seek Israel's destruction. I call it "Libertardation". Let me make something perfectly clear, there is nothing honorable about upholding someone's freedom of speech when they are trying to destroy you. That kind of attitude is unethical, suicidal and down right...stupid. Over the years Israel has had radical Islamic terror apologetics serve as parliament members in the Israeli parliament. Achmed Tibi who served as the arch terrorist Yasser Arafats's right hand man, even served as speaker of the house! #Libertardation! We have had radical Muslim members of Parliament who traveled to countries that are at war with Israel as well as those who gave information over to the enemy during war time and those that actively arm radial Islamic terrorists with whatever they need to murder Jews. In todays "Libertard" world, the liberals are up in arms to protect the rights of these terrorists and simply ignore the danger they cause to innocent people. 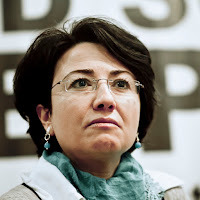 Meet Hanin Zoabi. Ms. Zoabi was born in Israel in 1969. She is a full fledge Israeli citizen and was educated in Israeli schools, received her BA from Haifa University and a Masters from Hebrew University of Jerusalem. Hanin worked in the Israeli Ministry of Education and was responsible to improve education level in the Arab sector. Does it sound like Hanin was a victim of Israel's horrible racism or rather someone who benefitted from Israel's equality? Is there anything in Hanin's resume that would give her a reason to hate Israel? Most Islamic regimes she sides with would not allow her to earn the degrees she earned in Israel and a 48-year old single female Muslim is not given much respect in Gaza. What was on the Flotilla "Peace" boat? Only bullet proof vests, knives, Hamas flags, axes, sling shots, some home made grenades and some other clear indications that this was a peaceful vessel (I do hope you hear the sarcasm). 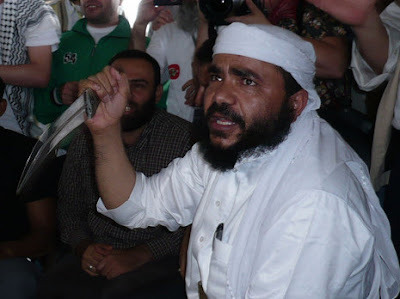 Ok then, I guess this passenger who was traveling on the Flotilla was just giving instruction on how to use this dagger to....stab a Jew! So what does this have to do with Hanin Zoabi? Once again I am so happy you asked. 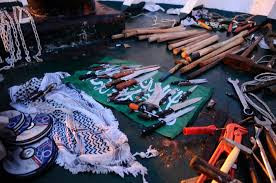 Along with the terrorists on the Flotilla, there was a very special passenger who clearly saw the weapons present on boat as well as witnessed IDF soldiers being brutally attacked and even watched as one almost had their eyes gorged out by one of the terrorists on the boat. You guessed it! The honorary passenger on this terror boat was none other than Israeli parliament member Hanin Zoabi! 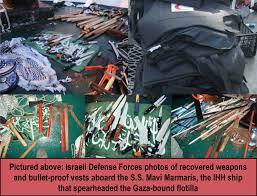 She claimed she did not know about the weapons and then claimed IDF bordered the boat with loaded weapons and shooting random people. The truth? A teman of 15 Israeli commandos abseiled onto the ship to stop it from reaching an area under military control the soldiers were armed with paintball guns, plastic bullet riot dispersal handguns and hidden fire arms just in case. The first team commander was thrown over deck head down, abducted andstabbed. The second and third commando were grabbed off the rope and an activist attempted to gorge out their eyes. The "peace activists abducted the stabbed soldier to the lower level of the boat and left him bleeding with knife in stomach while they took his stun gun grenade an pistol and used it on the other IDF soldiers. Below is what Hanin Zoabi seemed to have missed that the entire world saw. Just in case you want to claim Zoabi was not on the boat, here is the footage from the boat itself where Zoabi attempted not to be filmed! I wish this would have been the end of the story but unfortunately for Israel, Zoabi made a bigger fool out of the Israeli government. The truth is, the Israeli government made a full out of themselves when they paid millions of dollars of compensation to Turkey over the Flotilla! When you choose diplomacy over truth and make us the bad guys in order to build relations with a country that would like to see you destroyed, you actually make us the victims. STOP IT! If you pay those who attack us then you are aiding and abetting terrorists to continue to murder Jews, STOP IT! 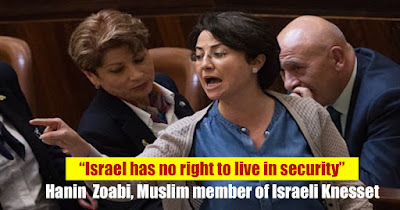 If you allow people like Zoabi, Tibi and other radical Islamic terror apologetics to serve in the Israeli Knesset under the disguise of freedom of specch, you actually strip the rest of is of our freedom to live! One who fights and screams to protect the rights of everyone besides those who are being threatened by the people they are fighting to protect. 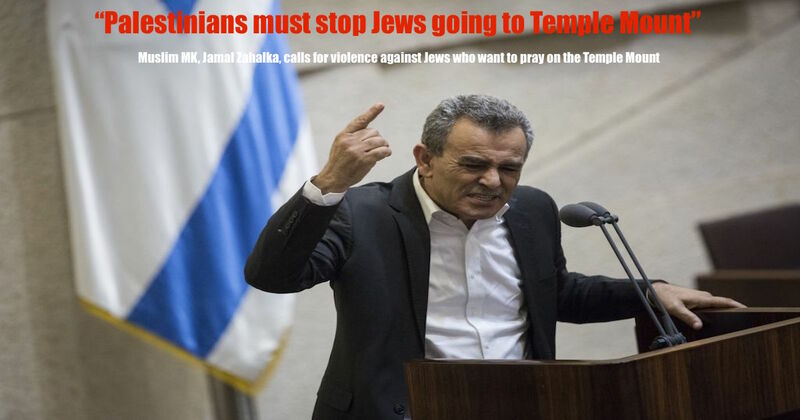 Should Israel strip these radical Muslism of their citizenship?